FEELING THE IMPACT OF HARVEY (WEINSTEIN, NOT HURRICANE) ON “HAMMERS" - The Rough Notes Company Inc.
Has it been only seven months? Since a New York Times expose in early October 2017 brought down movie mogul Harvey Weinstein, we’ve seen an avalanche of sexual misconduct allegations end the tenures of business leaders, media personalities, and other high-profile individuals, including a sitting U.S. senator and a state judge aspiring to become one. So, we ask: Will the cascade of claims against celebrities be mirrored within organizations far from the public eye? What would that mean for carriers and producers that market employment practices liability insurance (EPLI)? If there is an increase of sexual harassment claims against lesser-known individuals, that could be a reversal of recent trends, although it’s hard to be sure. According to figures provided by the U.S. 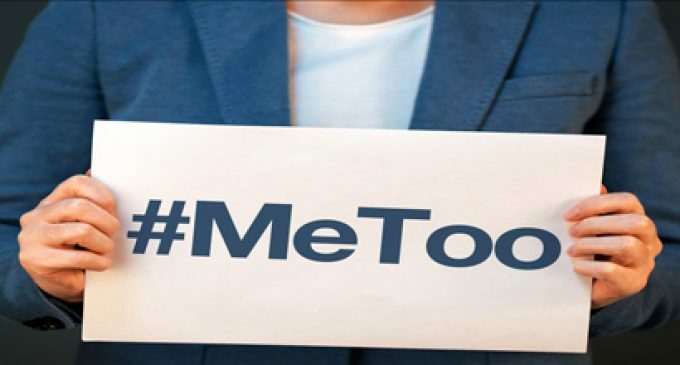 Equal Employment Opportunity Commission (EEOC), charges of sexual harassment filed with the commission fell slowly but steadily from 7,944 in FY2010 to 6,696 in FY2017. The number of resolutions, settlements, and conciliations all decreased over that period, while findings of “no reasonable cause” rose from 50.8% of resolutions in FY2010 to 56.0% in FY2017. That’s not the whole story, however. The latest EEOC numbers do not include complaints filed with state fair employment practices agencies, known as “FEPAs,” or complaints lodged and handled privately. Also, even if there is a reduction of claims, it is not known how much would be attributable to better behavior in the workplace or to increased fear of bringing a claim. What is certain is that lawmakers in several states have taken aim at a key component of sexual harassment claim resolutions: the non-disclosure agreements (NDAs) often required in employment agreements staff members routinely sign when taking a job. Claiming that NDAs allow bad actors to continue their sexual predations, legislators in California, Massachusetts, New Jersey, New York, Pennsylvania, and Washington (state) have introduced bills to restrict or prohibit mandatory NDAs. No sooner than the bills were submitted than critics, including supporters of women’s rights, noted that victims of sexual harassment often preferred NDAs themselves, either out of embarrassment or a fear that their own behavior might be questioned. Legislative committees are now considering the practical extent of any restrictions on NDAs. For example, one state is considering whether an offending individual or organization might be identified, but a claimant’s identity kept confidential. For EPLI insurers, restrictions or prohibitions on NDAs will almost certainly affect settlement negotiations. On one hand, the threat of negative publicity for the defendant may make claimants less willing to settle. On the other hand, if considerations of confidentiality are off the table, defendants may be tempted to hold out. As of now, we can only speculate about the facts of a claim and the wording of relevant statutes yet to be enacted. Carriers and producers can, however, scrutinize the “hammer clauses” in EPLI policies. Hammer clauses are policy provisions that require insureds to bear some or all of the additional defense and indemnity costs above those in a settlement offer proposed by the insurer and rejected by the insured. According to The Betterley Report, an authoritative reference on insurance policy provisions, there is a great variety of approaches to settlement provisions in the policies of 32 EPLI carriers surveyed in its December 2017 edition. Many have no hammer clause at all; many have “soft hammers” that still leave carriers with up to 90% of additional costs after rejection of a settlement offer; few have “hard hammers” that would leave the insured with substantial exposure for rejecting a settlement. Clearly, carriers and insureds will be looking carefully at “hammers” if the use of NDAs is restricted, and producers are well-advised to be knowledgeable about them.